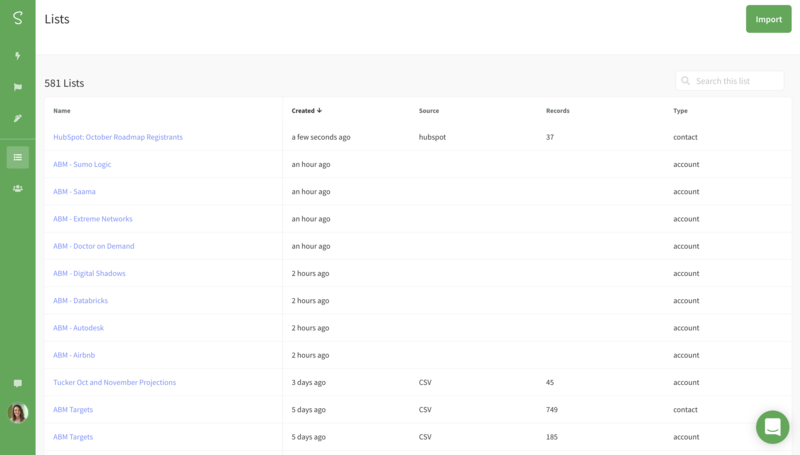 To enhance your targeting capabilities, the HubSpot integration allows marketers to import active and static lists straight to Sigstr to align to campaigns now and in the future. Depending on how you’ve segmented users in your HubSpot environment, this opens up endless opportunities. Most notably the ability to align Sigstr campaigns to specific stages of your sales cycle. 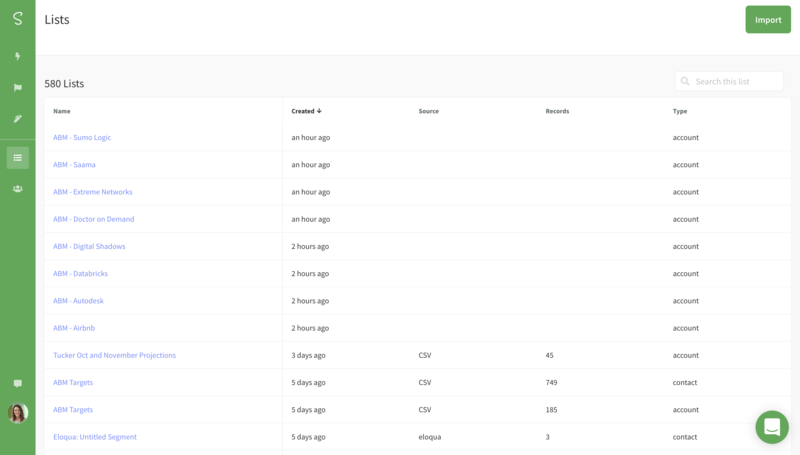 Once you import a contact segment to Sigstr, use Sigstr Pulse to gain an understanding of how strong your company’s collective connection is with every contact on the list as well as who on your team has the best relationship with each individual. See how relationships are trending and make strategy adjustments when necessary. 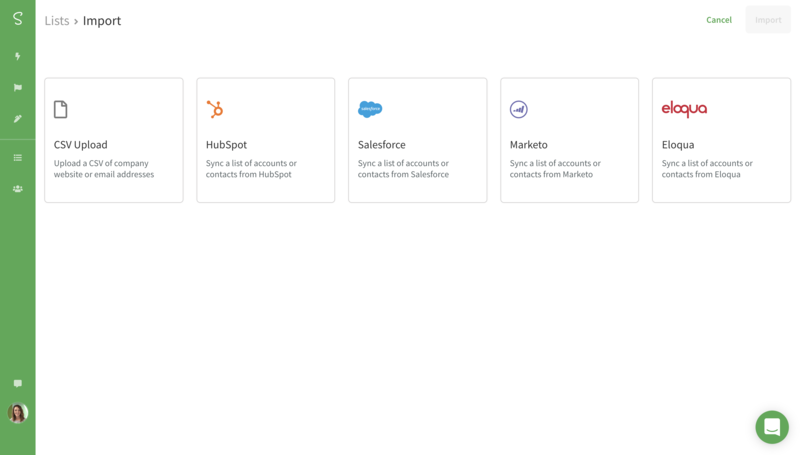 Before importing HubSpot contacts to Sigstr, you must first enable the HubSpot Integration. Navigate to the Lists tab and select Import. Select HubSpot as the list type. 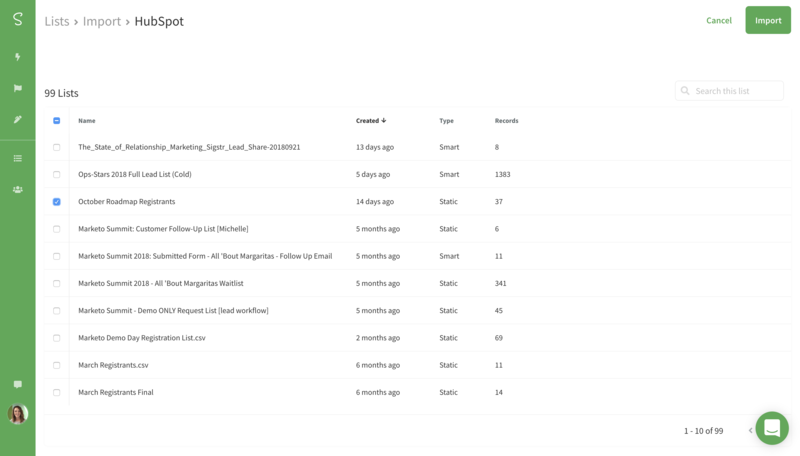 Select the HubSpot active/static list(s) you would like to import and click Import. The new list will appear on the Lists page. For active lists, Sigstr will automatically sync with HubSpot once every 24 hours to ensure the most up-to-date data exists in Sigstr. Align your newly created list to a campaign by leveraging Sigstr ABM. 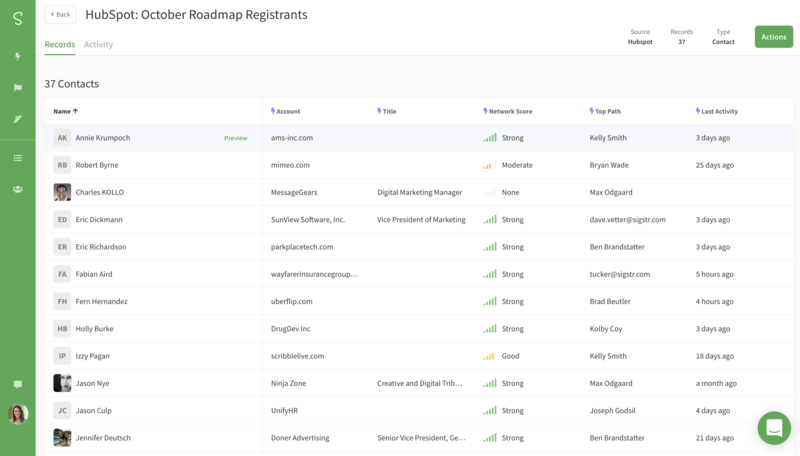 Use Sigstr Pulse to track how your company’s collective connection is with every contact on the list and see how relationships are trending.